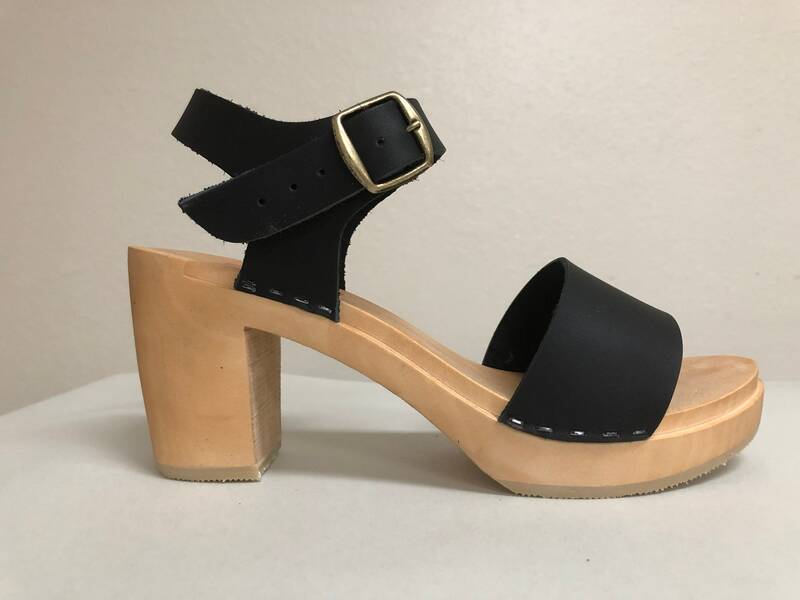 New Wide Strap sandal in Black oiled with a natural super high heel and bronze buckles. with a buckled ankle strap. Please specify your changes to the listing if you have any at check out in Notes to Seller.